Okay, okay, we know it’s not cold outside YET. But, with fall just around the corner, now is the perfect time to get ready for cooler days and chilly nights with a new quilt! Did you know that making your own quilt is not as hard as you might think? How, you ask? Enter Cricut and Riley Blake. Together, Cricut and Riley Blake are bringing you some of the cutest fabric kits, stylish patterns, and the tools to put it all together! Today, we want to share some inspirational quilt creations that we most definitely hope you DO try at home! The beauty of creating a quilt with Cricut and Riley Blake is that the possibilities are endless. You can mix and match fabrics and patterns to match your style, and create something that is completely YOU! And, with a few secret weapons like the Cricut Maker and the Cricut Rotary Cutting Kit, you’re all set to make the process as smooth and quick as possible. 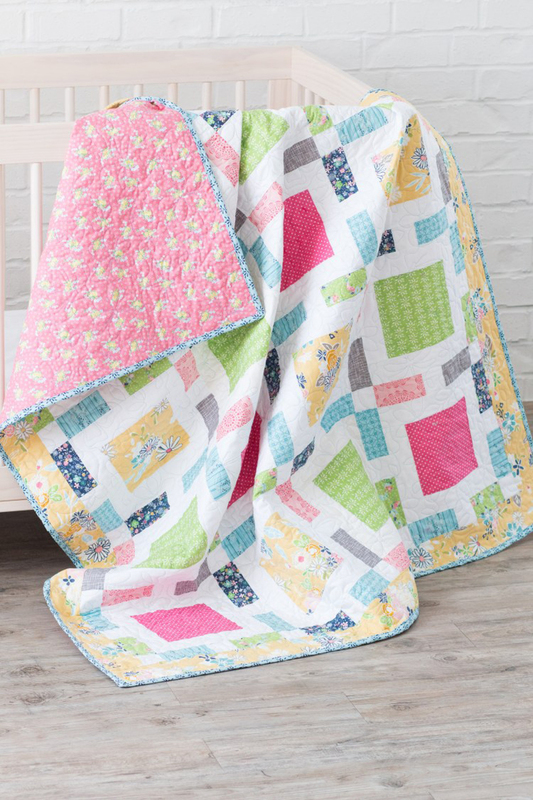 Riley Blake quilt kits: no more guesswork on color-matching or measurements! Alright, enough chit-chat, let’s see some quilts! 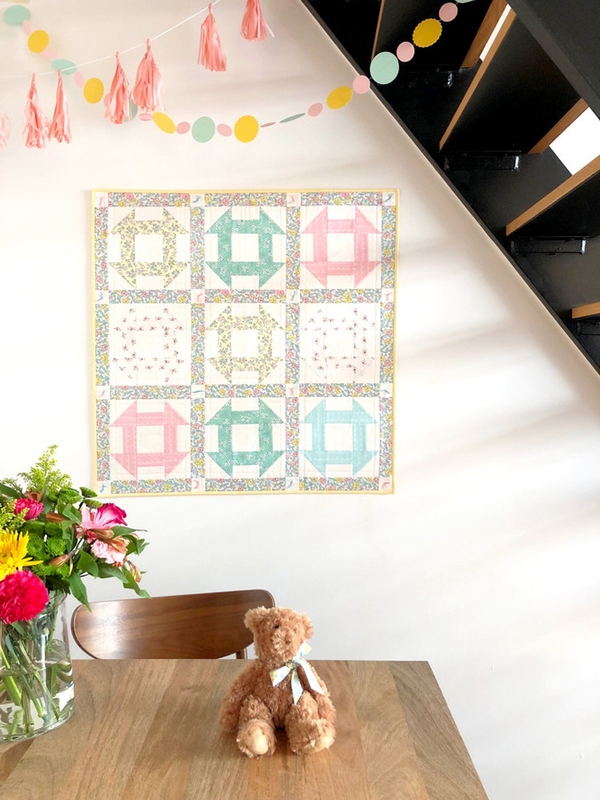 Seriously, though, in what nursery or baby’s room this “To a T” quilt by Heather Handmade look absolutely amazing? Who doesn’t love a pop of red? 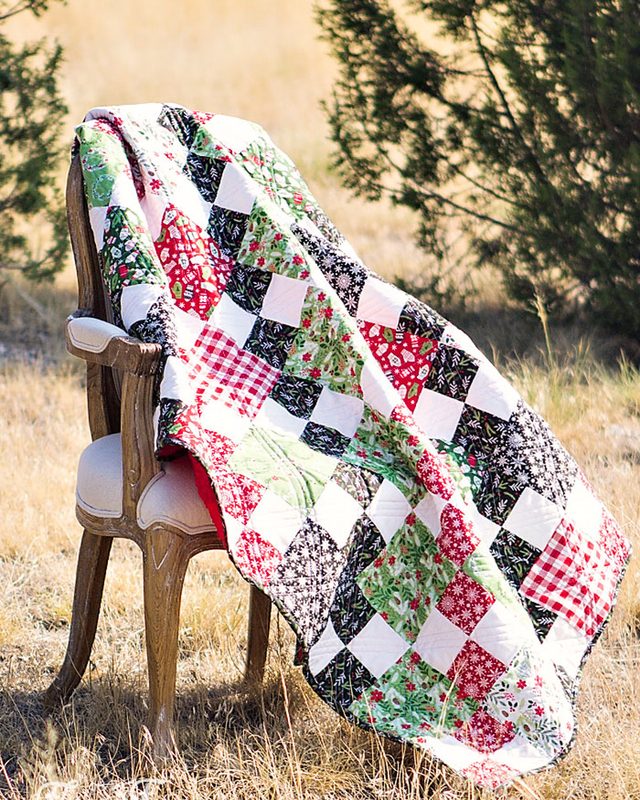 It’s what makes this “Around We Go” quilt by See Kate Sew a real eye-catcher! 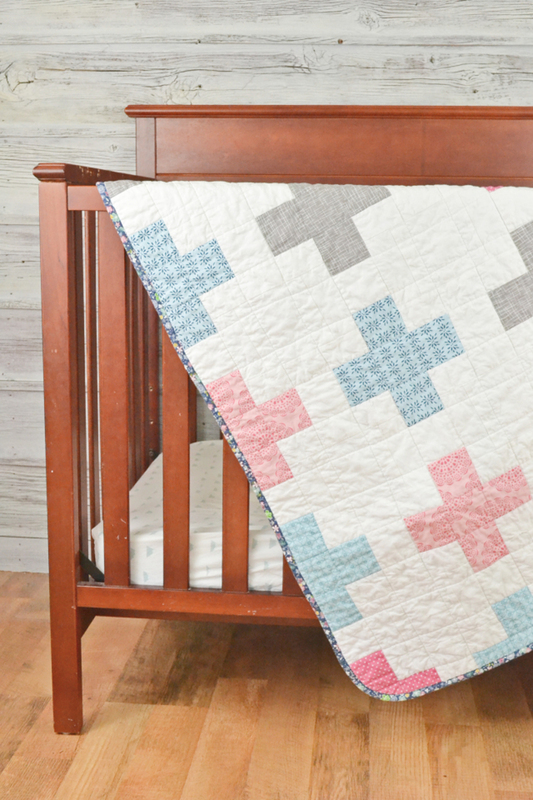 Obsessed with how this “Hashtag Baby Quilt” created by The Tattooed Quilter adds to the room! Catching some serious holiday vibes from Fleece and Fun’s “Sew Many Squares” quilt using Riley Blake’s Comfort and Joy kit! 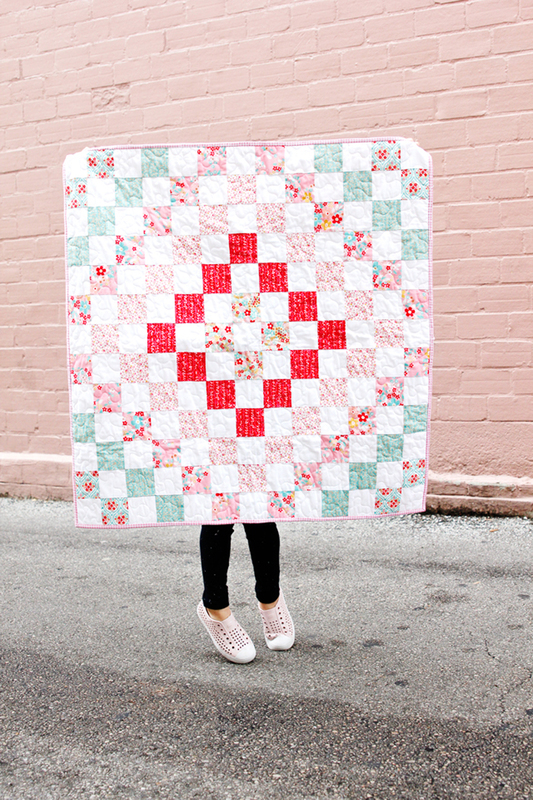 This “Happy Squares” quilt by Sweet Red Poppy stays true to its name… it just makes us feel happy! 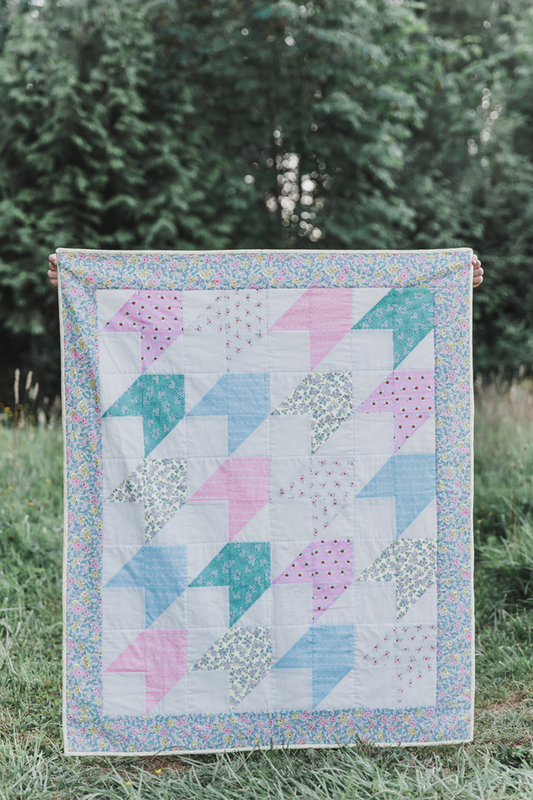 And this quilt from Sew Much Ado…. well… just look at it!!! Remember, with Cricut and Riley Blake, everyone can create a quilt. We hope these were inspiring for you as they were for us! Until next time, don’t be afraid to give these throws a go! Tell us below which one is your favorite and pin for later! Which circuit is the one to choose for cutting material for queen sz. Quilts n does all the tools needed in a bundle come with it, if not what should I order with the circuit as I’m not interested in buying materials or making cards or leather or t shirts with those pretty motifs or sayings , not too many box stores I;Cape Breton , Nova Scotia , so have to order on line n want to be ready to use when it arrives , n in Canadian money n free shipping , can u help.? Thank you Blake Riley mat. R great but don’t want to buy kits , thanx. Mary hawco. Hi. The Cricut Maker would be your best choice for cutting fabrics for quilts. We do have bundles in our shop that are specific to sewing. Do you have precut kits with directions?I’m new to quilting. Thank you.